The Annual Indian Lake Poker Paddle has been set for Saturday, July 21st, 2018. 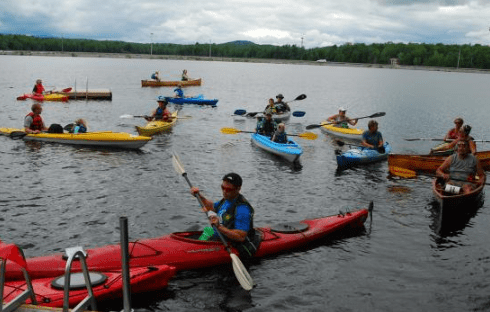 Participants will explore the shores and bays of the scenic Adirondack Lake, anything that floats and is propelled by a paddle qualifies. The Poker Paddle is open to all ages and skill levels. Cash and other prizes are awarded for best poker hands. » Continue Reading. Last year my family joined over 60 teams to take turns bowling along the lane with the hopes of finishing with the lowest score. This year 88 teams are currently enrolled with a limit of 90 teams available. Don’t worry. Spectating is just as much fun as participating. Babies in strollers, dogs, and costumed teams make it fun to observe. » Continue Reading. Snow isn’t just for shoveling. These snowy Adirondack days are providing the perfect weather for a February filled with winter festivals. In all the far reaches of the Park, celebrating snow and ice is a tradition showcasing the playful aspects of wintertime. » Continue Reading. The Town of Indian Lake has announced that their 2018 Snocade is set to run from February 16-24, 2018. The week-long family friendly festival begins on Friday at 4 pm with a Happy Hour kick-off followed by a Tricky Tray at the Indian Lake Central School at 7 pm. » Continue Reading. The Hamilton County Soil and Water Conservation District is sponsoring an Erosion, Sediment Control, and Stormwater Training on February 13, 2018 from 9 am to 1 pm at the Indian Lake Municipal Center, 117 Pelon Road. 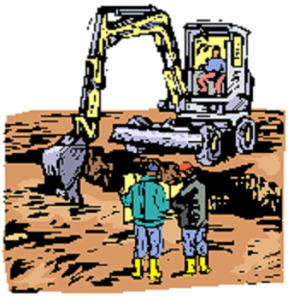 The DEC Stormwater Permit mandates that all construction site contractors and subcontractors must have at least one trained individual from their company on their construction sites daily who is responsible for implementing erosion controls and stormwater management for sites that disturb one or more acres of land. These individuals must have completed a four-hour training class renewed every three years. » Continue Reading. It’s a Turkey Trot here and a Turkey Trot there, but in the Central Adirondacks Santa and Mrs. Claus make it all about shopping local. Long before Small Business Saturday, Old Forge and Inlet’s Christmas on Main and Indian Lake’s A Country Christmas Tour provided a Thanksgiving holiday celebrating its unique Adirondack shops as well as a weekend of family-friendly activities. 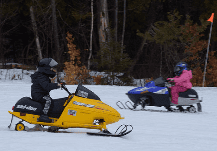 According to Mike Farmer, Director of Publicity for the Town of Webb, there are a couple of big additions to Old Forge’s already packed schedule of events. If children forget to make their Christmas list, there are two red mailboxes, one at the Webb Visitor’s Center and another at Pointe Park, at the ready. Postcards are also on hand to jot down any last minute ideas. The Central Adirondacks Association purchased and renovated an old-fashioned sleigh so Santa will be arriving in style. For the first year, 60 area businesses contributed items for a holiday raffle basket. Shoppers spending $10 or more in participating stores will receive a ticket for a chance to win gifts ranging from motel stays to whitetail deer antlers. » Continue Reading. Though Brenda Valentine, President of the Indian Lake Community Development Corporation, founded Indian Lake’s Great Adirondack Moose Festival, she has still yet to see a live moose. Though some visitors and locals have been fortunate to see the elusive animal, Valentine is patiently waiting for a glimpse of the largest member of the deer family. Until that time Valentine and the rest of the committee continues to provide a weekend full of fun during the Great Adirondack Moose Festival. “The Great Adirondack Moose Festival first took place in 2010,” says Valentine. “We looked around at how other moose festivals were organized and discovered the closest one to our area was Talkeetna, Alaska. We asked visitors what they would like to do and we listened.” » Continue Reading. 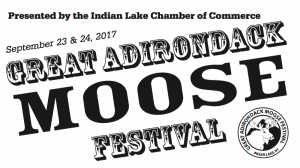 The 8th Annual Great Adirondack Moose Festival will be held in Indian Lake during the weekend of September 23 and 24, 2017. Moose-themed family fun activities will be the main attraction. Visitors to Indian Lake will enjoy programs, games, contests, exhibitions, many in the name of the elusive and majestic moose. The half-ton mammal has made a come-back in the Adirondacks, and one may even spot a moose during the Festival weekend. » Continue Reading. They’re a bit like the guests who overstay their welcome in your home, leaving their sheets rumpled in the bed, eating your food, and inviting more family members to join them. 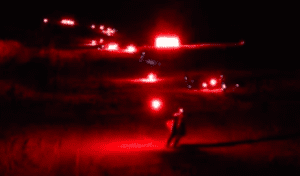 Something like this has been happening to National Grid on one of their power poles across Route 28 from the Chain Lakes Road in the hamlet of Indian Lake. Osprey built a nest a year and a half ago in this desirable location near Lake Abanakee. 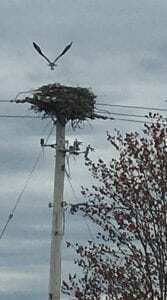 Osprey like to build their “stick nests” on channel markers, dead trees, and poles like the ones National Grid uses for their power lines across New York State. So last fall National Grid, working with the Department of Environmental Conservation, removed the Lake Abanakee nest. And this spring, the birds returned to the pole and rebuilt. » Continue Reading. 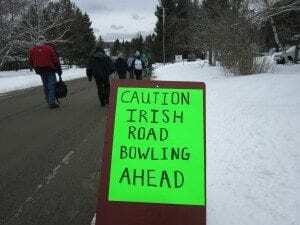 Indian Lake won’t let a little snow emergency stop them from enjoying another year of Irish Road Bowling. Since 2006, Indian Lake has been the only consistent Adirondack town to offer a traditional road bowling competition. 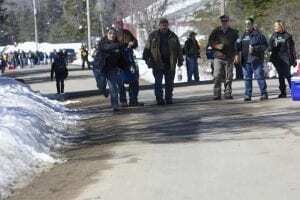 According to Indian Lake’s Events and Activities Coordinator Patricia Mahoney, this St. Patrick’s Day tradition is just one stop in a weekend of Adirondack fun that includes events such as a traditional parade, Mutt Strut, and a volleyball tournament . » Continue Reading. Adirondack Park Upper Hudson Rec Hub Eco-Tourism Support Grants are available for municipalities. The New York State Department of Environmental Conservation (DEC) partnered with National Heritage Trust (NHT) and The Nature Conservancy (TNC) to deliver competitive grant funding to support new tourism linked to the recreational opportunities. 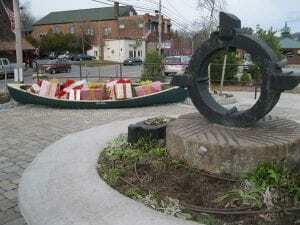 In addition, a companion microenterprise program will soon be available for recreation/tourism-based projects connected with former Finch, Pruyn & Company lands for a total of $750,000 in funding, provided by a grant from TNC. » Continue Reading. The 7th Annual Great Adirondack Moose Festival will take place this weekend, September 24th and 25th, in Indian Lake. Moose-themed family fun activities will be the main attraction during the weekend. 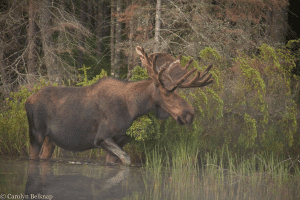 Visitors to Indian Lake can enjoy programs, games, contests, exhibitions – all in the name of the elusive and majestic moose. The half-ton mammal has made a come-back in the Adirondacks, and one may even spot a moose during the Festival weekend. 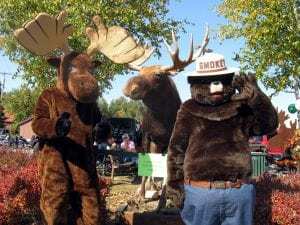 The Annual Great Adirondack Moose Festival (GAMF) is sponsored by the Indian Lake Chamber of Commerce and a host of regional and local business sponsors. » Continue Reading. 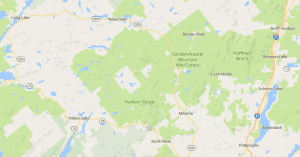 North Hudson and four nearby towns have launched a website and petition drive to muster support for classifying Boreas Ponds as Wild Forest instead of Wilderness, the designation supported by Forest Preserve advocates. 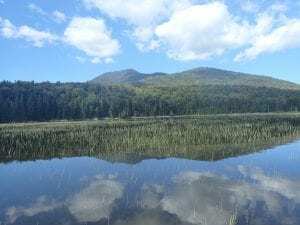 Called Access the Adirondacks, the website says the 20,758-acre Boreas Ponds Tract has a network of former logging roads and is suitable for a variety of recreational uses, including mountain biking, horseback riding, and snowmobiling. 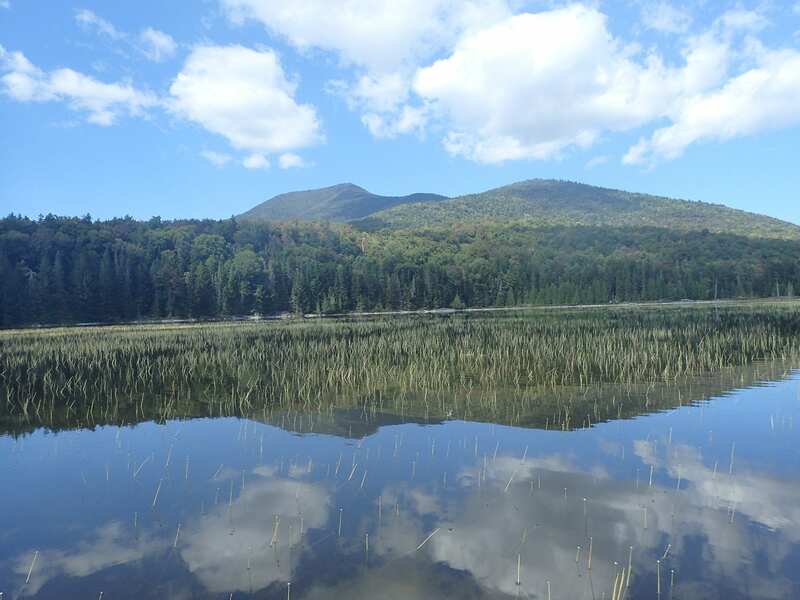 “While some would have you believe the Boreas Ponds Tract is a unique ecological jewel untouched my man, nothing could be further from the truth,” the site says. 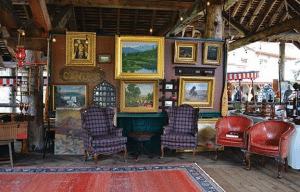 They’re expected to bring with them high-quality art, antiques, collectibles and other vintage items — much of it curated with a rustic Adirondack sensibility — including camp, cottage, Mission, and Old Hickory furniture; rare books; vintage boats; antique sporting goods; taxidermy; quilts; historical fine art and folk art; militaria; oriental rugs; Native American jewelry and artifacts; and much more. » Continue Reading. Spiny waterflea, an invasive zooplankton, continues to spread in the Adirondacks. First discovered in Great Sacandaga Lake in 2008, it has quickly spread into at least eight other lakes in the region. Most recently, a new population was detected in Indian Lake in Hamilton County. Up until this detection, Indian Lake was considered to be the Adirondack’s largest invasive species free lake. The discovery was reported to the Adirondack Park Invasive Plant Program (APIPP) by a Paul Smith’s College Adirondack Watershed Institute (AWI) boat launch steward. 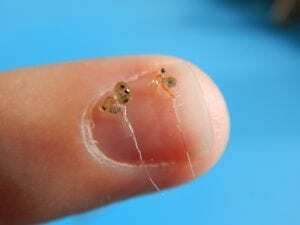 An angler, who was fishing in a deeper section of the lake, collected the spiny waterflea on his fishing line. Because of its long spines, it can get easily caught on fishing line, especially on down-rigor lines, that are used to fish in deeper water. » Continue Reading.